AMDA | AMDA News - Bobby Hedglin Taylor Creates Soaring Choreography for New Broadway Musical "Chix6"
Bobby Hedglin Taylor Creates Soaring Choreography for New Broadway Musical "Chix6"
After graduating AMDA, alumnus Bobby Hedglin Taylor went on to perform in musicals across the country. He eventually left the theatre for a life in the circus. Today, Bobby is working on the Broadway bound musical Chix6, creating picturesque aerial dances that defy gravity and give musical theatre choreography an entirely new perspective. We spoke with Bobby to get the full story on how his career came to life and what it takes to be called an aerial choreographer. Why did you decide to go to AMDA? I had been in college for four years and hated the fact that we didn’t stage musicals or have instructors that could teach us how to work as a professional actor. I knew I wanted to move to NY and become a working actor. I auditioned for AMDA, got in with a scholarship, left Pennsylvania with $100 in my pocket and never looked back. To work! I just wanted to work and I did. I worked in summer stock, tours, experimental and regional theater and of course Broadway. 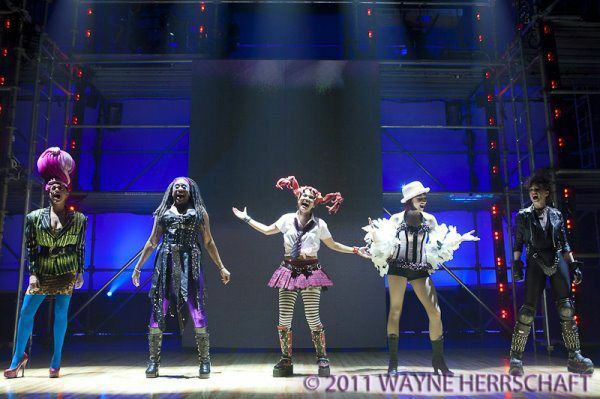 Now you are working on the musical Chix6 which is going to Broadway in 2012. Tell us what it is like to take a show to Broadway. We are actually in the “out of town” phase, considered a developmental production. We will open on Broadway in 2012. It is very exciting! This is the second Broadway show that I have been a part of. I trained aerialists off-site for another musical. I was part of the team, behind the scenes, and I never actually got a credit in the program for that one. With Chix6 my name, title and bio are all on display, which I have learned is very important in this line of work. I will never work on another project without receiving proper credit for it. I am happy to assist, but my work is too specific not to get name recognition for it. You began working as actor. How did you come about becoming an aerial sequence designer? I had been an actor my entire life. I already had a minimal amount of success in summer stock theatre before I even attended AMDA. However, AMDA launched my career. AMDA gave me the tools I needed to get out into the world and work. I was taught by people like Harry Woolover, Casey Colgan, Cynthia Thole, Barry Finkel, the late Michael Sartor, and so many more who were working in the business and knew the business. I not only learned what to do, but how to actually land the job. 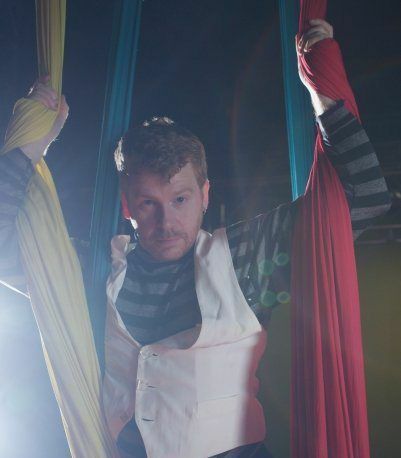 As for my aerial work, I had some circus experience before I left AMDA, and a few years later I was offered a job doing a voice over in the new musical The Circus Adventures of Toby Tyler. The project never materialized due to funding but I fell in love with circus training all over again and within six months I was working in a small circus. 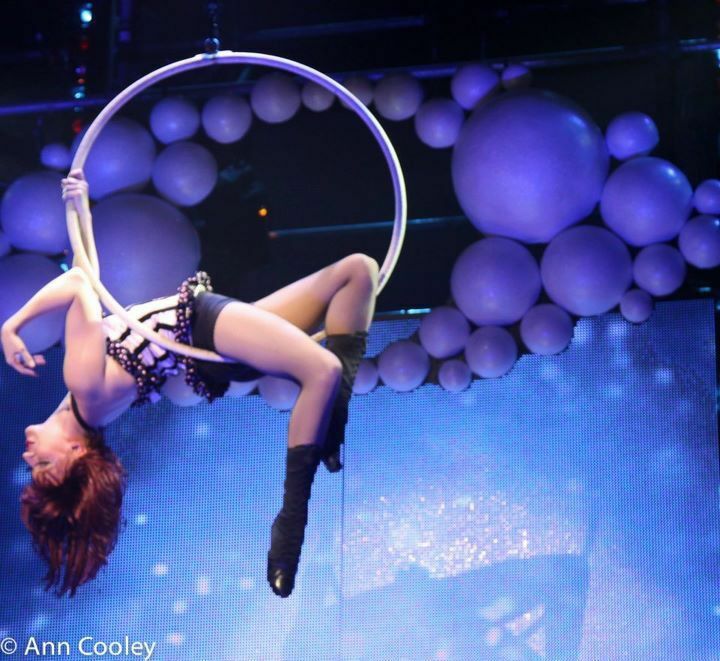 I left the theatre to pursue a life in the circus! I performed at every NYC nightclub for about ten years, until I experienced a terrible trapeze fall that changed my life. I left the circus and the theatre and became a gymnastics coach. Through that job, I healed, and began training. One of my students dragged me out of my early retirement and I began teaching and choreographing aerial acts again. My life took a turn after 9/11 and the unexpected death of my partner. I left NY and took a job sequencing a show in Florida. That job ultimately led me to my first production of the musical Barnum. I did 22 productions of Barnum after that and my career snowballed from there. Explain to us what it is exactly that you do? By definition aerial work is a circus act consisting of a person holding their own weight and performing, without the benefit of a harness, flyman or a motor. Basically, I get to draw pictures with the human body and tell stories. I analyze the script and what is going on in the story, and I figure out how to make movement tell that story. In Tarzan, I had apes that were having fun discovering a camp for the first time, in Chix6 I have a super hero who educates her creator from an aerial dance showing that “it’s all about finesse” in a way that is unique and has never been done before on a Broadway stage. Here is a clip from Chix6 where you can see the character “Lola Touche” perform aerial work while singing. Alongside Broadway aerial flying designer Paul Rubin, we have created amazing aerial arts for the show that will be seen for the first time on Broadway. Music is always an inspiration, giving me the backdrop to draw pictures in the air. To win a Tony Award for Aerial Choreography! There is no category for that yet. We will see how it goes once Chix6 opens on Broadway next year. After your own journey, what have you learned that you would like to share with current students and alumni? Don’t get distracted! Stay on course. Be a professional, act professionally in all settings. Everyone hates a diva. Don’t take no for an answer. Keep pursuing until you cannot move any more. Take classes from everyone. Go to every audition, even if you don’t want the job. Listen to the industry, watch for trends and move toward them. Do your best to stay on track and try not to get depressed in the lean times. It is worth it if you stay with it. Chita Rivera once told me something that I have never forgotten “Bobby, don’t be in this business for the money, because there isn’t any! Do it because you love it and you want to be in it!” It’s the God’s honest truth. I do love it and I am glad I stayed with it all these years. Thank you Bobby. We look forward to seeing your high flying choreography on Broadway and beyond!